This is a rectangular flange Sanderson’s Express porcelain sign. This particular Sanderson’s Express sign is red with white text. 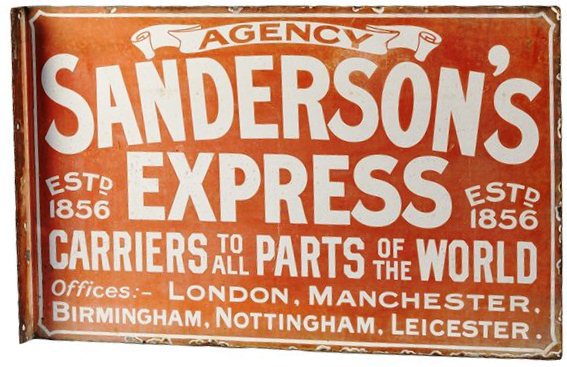 It reads, “Sanderson’s Express Agency, Estd 1856, Carriers To All Parts Of The World, Offices: – London, Manchester, Birmingham, Nottingham, Leicester” and features a white scroll banner at the top of the sign.